It was thought the Egyptians used only manual labour to build some of the Wonders of the World. Now it is though they could have used simple machines. 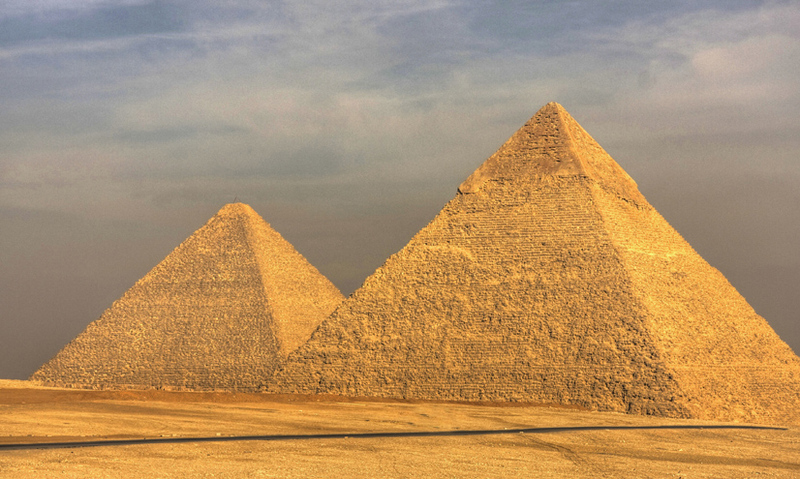 It is believed that the Egyptians constructed the Great Pyramids using simple machines. Inclined planes helped to raise stones up the pyramid. A pulley system helped hoist large stones. A lever system was used to get building materials to the top of the pyramid. As early as 210 BC, ancient Greek physicist Archimedes defined six simple machines... levers, wheels, pulleys, inclined planes, wedges and screws. These simple principles form the basis of all modern machinery, and have transformed our world.